1:08 When you were young, did you think you would achieve this much? 1:50 When did you decide you wanted to be in business? 3:20 Controlling your own destiny? 5:29 Are you born an entrepreneur? 6:42 What books do you recommend? 7:28 What are you looking for in businesses? 10:25 A common thread in your successful businesses? 11:50 Did you invest in the Dallas Mavericks for profit or fun? 15:12 How do you teach work ethic? 15:56 If you were young, what industry would you want to work in? 20:07 Stock market investing philosophy? 24:35 Would you consider going into public office? 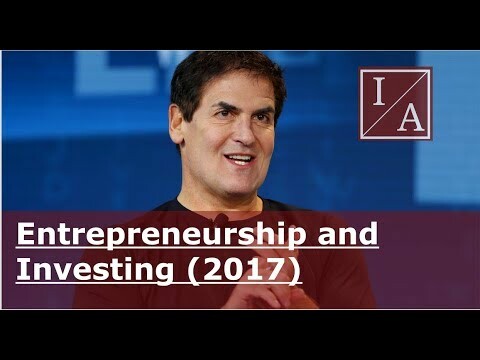 35:00 Encouragement to young investors?